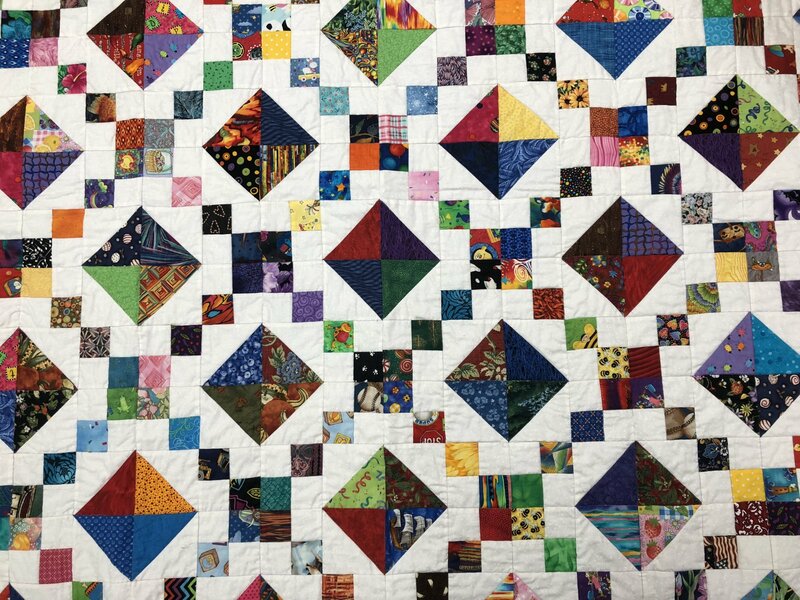 This scrappy quilt uses your left over stash as well as background that you'll need to purchase. You'll use squares and triangle in making this cute quilt. Bring your stash. The teacher will also have some scraps to share and you might even want to share some of your fabric with other students. Quilt finises 56" X 64" but the instructor will tell you how to make it bigger if you wish. Requirements: Sewing Machine * Thread * Scissors * Pins * Seam Ripper * Scraps. You will need to come in prior to class to purchase the background fabric using your 20% class discount.